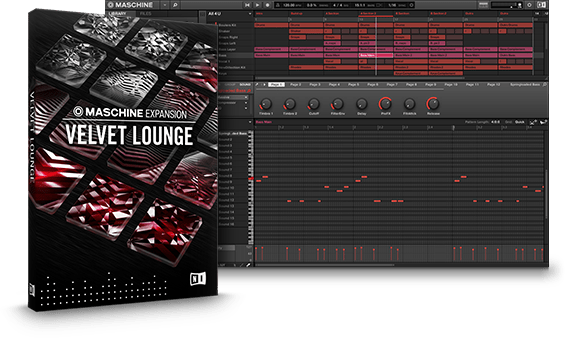 Native Instruments introduced VELVET LOUNGE – a new MASCHINE Expansion aimed at producers combining classic soul’s deep musicality with the forward-thinking production of contemporary urban styles. VELVET LOUNGE runs in the latest MASCHINE 2.3 software on MASCHINE STUDIO, MASCHINE, or MASCHINE MIKRO and is available exclusively at the NI Online Shop. A compact version for iMASCHINE is also available via the iMASCHINE in-app store. VELVET LOUNGE is available now at the NI Online Shop for $49 / 49 € / £44 / ¥ 5,680 / AU$ 79 and runs in the MASCHINE 2 software.